Riding around on roller blades, skateboards, and the shoes with pop-out wheels never really caught on with grown-ups, but RocketSkates have the potential to bring wheeled shoe-based transport into the mainstream. The electric skates fit over your own shoes and let you zip around with high-tech ease at speeds of up to 12 MPH. 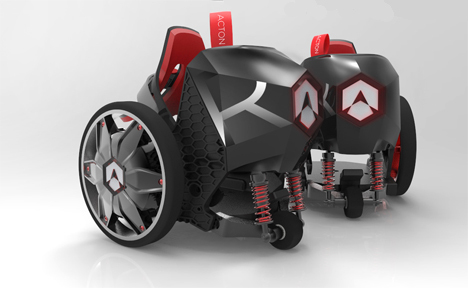 Acton R RocketSkates are the latest creation from a company that previously remote-controlled urban mobility skates. They’ve made a huge improvement with the RocketSkates: the skates are powered by four hub motors and controlled by your movements rather than a remote control. To start rolling, you just turn the skates on, kick to start, and tilt forward. To slow down or stop, you just put your heel down. You can also walk with them on, so if you’re cruising around and need to make a stop somewhere you don’t have to take the time to unstrap and remove the skates. The skates communicate with each other so they always move at the same speed and in the same way. 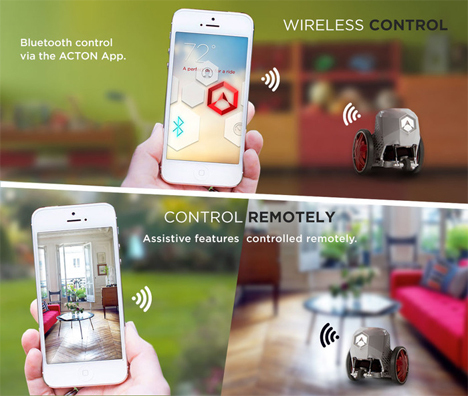 They also connect to a smartphone app that tracks your routes, keeps you informed of your battery power, lets you play games, and even connects you with other RocketSkate users. The company is even offering a software development kit to allow developers the chance to create new apps and features for the skates. 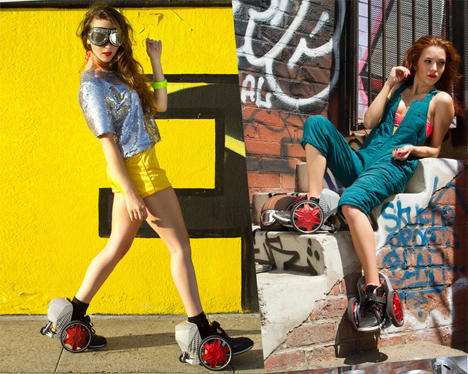 The Kickstarter campaign to bring RocketSkates to market rocketed past its goal in no time. The campaign gave supporters the choice between several models of skates with varying battery capacities and corresponding prices. The highest level gives up to 90 minutes or 10 miles of “fun time” for $599.